What would you think about a journey across all Russia with a car from the year 1992? It’s a challenge, to say the least. And definitely the trip of a lifetime. A professional racer and automotive enthusiast, Edvinas Sabalys did exactly that. He set out from Vilnius, Lithuania to Vladivostok, Russia. The distance between the two cities are over 10 000km across all Russia from west to east. As Edvinas said, he always wanted to travel a bit further than Europe, so he decided to head east. 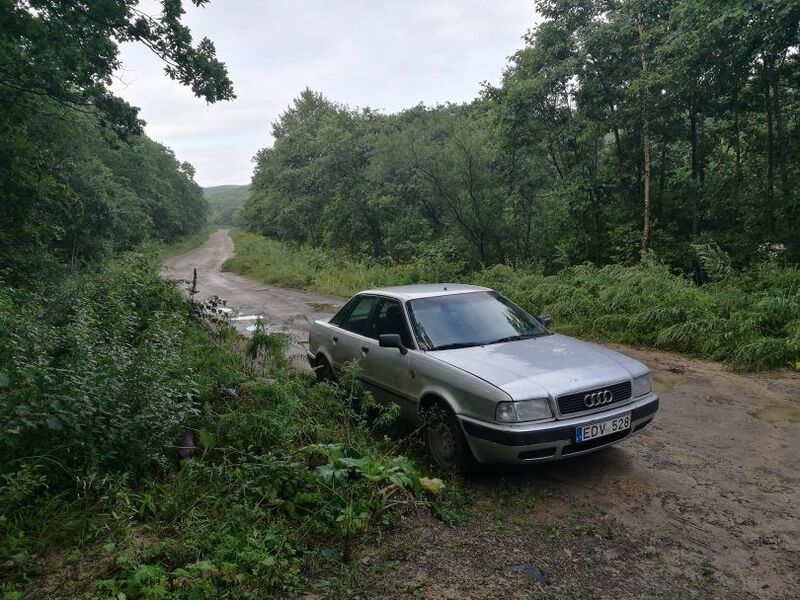 Edvinas used an old Audi 80 which was made in 1992. The car was 26 years old and already had a mileage of 582 000km! Another important detail is that he set on this journey alone! Naturally, his family and friends were worried about his safety. 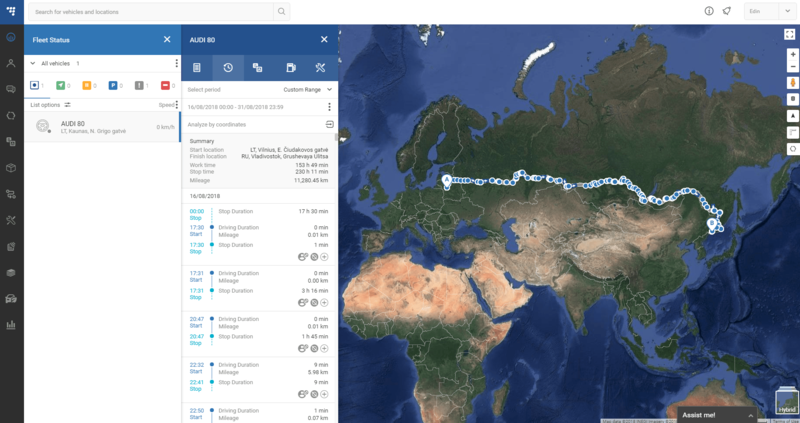 Here is where we came in – we have set up the car with FM-Eco4+ GPS tracker, so that everyone could see how he is doing via TrustTrack platform. The journey began on 16th of August and successfully ended on 31st of August. In two weeks Edvinas drove 11280 km from Lithuania across Russia and all the way to the Sea of Japan! It took 154 hours of driving to reach the final destination. During the journey, FM-Eco4+ and TrustTrack did not lose connection for a single moment. Our platform provided 100% connectivity even when used in extremely remote areas. However, the trip did not end there – Edvinas also drove back from Vladivostok to Vilnius resulting in over 23000km journey! Looking for a reliable tracking solution?